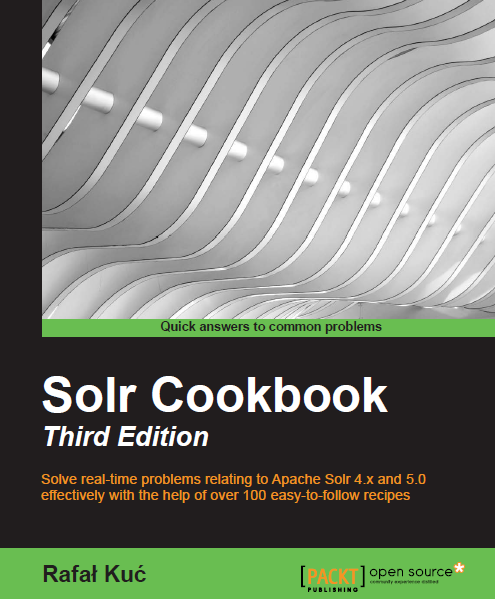 This time I decided to look at one of the unusual filters available in the standard distribution of Solr. The first one in my hands is a filter called KeepWordFilter. 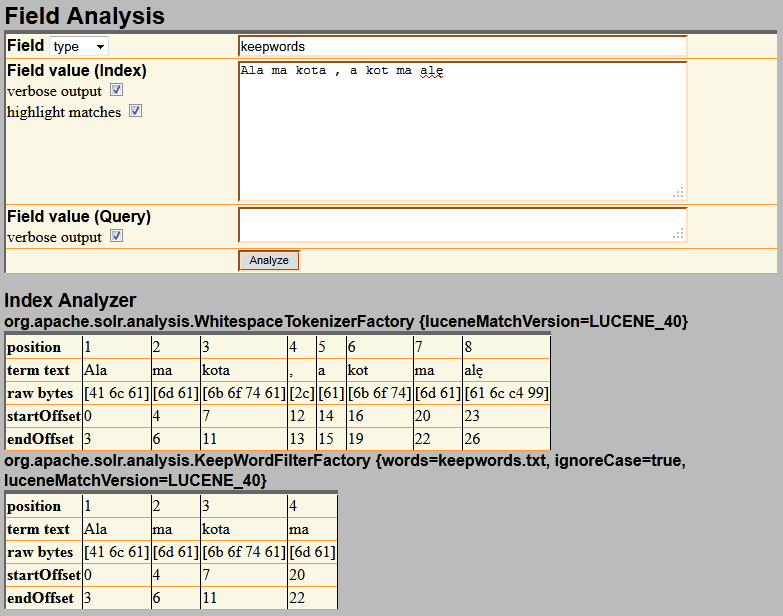 ignoreCase – true | false value indicating case ignore functionality. Although I never used the filter it seems to me that this is a good filter to use when you need to store the values of enumerated types, or in situations where we are interested in finite, or even better – a small and known in advance list of values, such as the categories where we can not filter information at the application level, or when it is very difficult.